The new Tomb Raider movie with Alicia Vikander as lead character, inspired by the video game series released in 2013 by Square Enix and developed by Crystal Dynamics, is officially available in our theatres since March 15th. Many are the feedbacks related to this live action and although the majority of comments posted were not exactly reassuring, I usually try to think with my own head and see things for myself before expressing any sort of judgement. Is it good? Is it bad? Is it worth it? 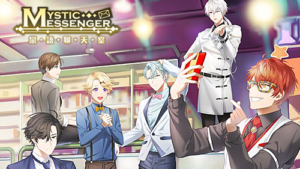 In this article I will compare a few scenes from the movie and the game itself, thus I highly suggest you to not proceed with the reading if you still intend to watch it (unless you don’t mind getting spoiled). I think Miss Croft doesn’t really need an introduction here, especially if you grew up in the ’90s and saw the famous archaeologist switch from the blocky model with triangular breasts (quoting my friend Dana here) to the more advanced 3D design we got in Temple Of Osiris. Lara has always been known for her “prominent features”, reason why when the reboot was announced a long time ago, the loyal Miss Croft fans complained about her new “baby” look and lack of curves. The game is not related to the previous series in any way and begins with a young and inexperienced Lara Croft investigating over the mysterious legend of Himiko, once Queen of Yamatai and blessed by shamanistic powers that enabled her to control the weather. While traveling aboard the Endurance ship, however, Lara and her entourage got hit by a violent storm upon reaching the Dragon’s Triangle and ironically found themselves shipwrecked in the Yamatai Island. 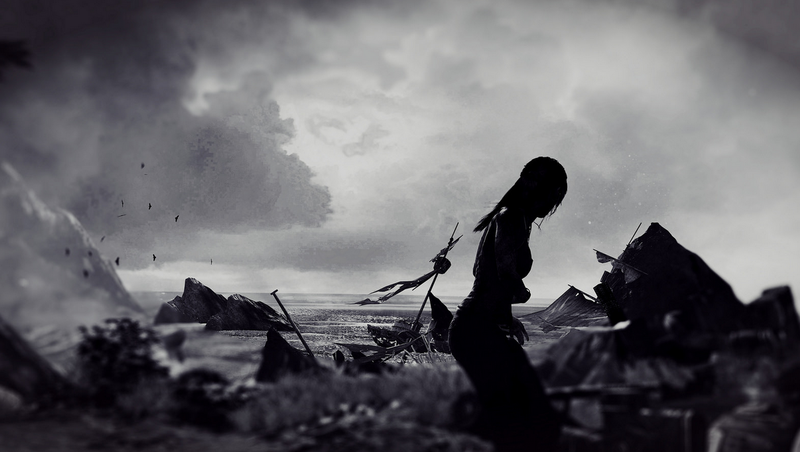 What seemed like a simple expedition will prove to be an exhausting battle of survival, forcing Lara to run, fight and climb for days as something dark seems to spread along the Island preventing everyone from leaving. 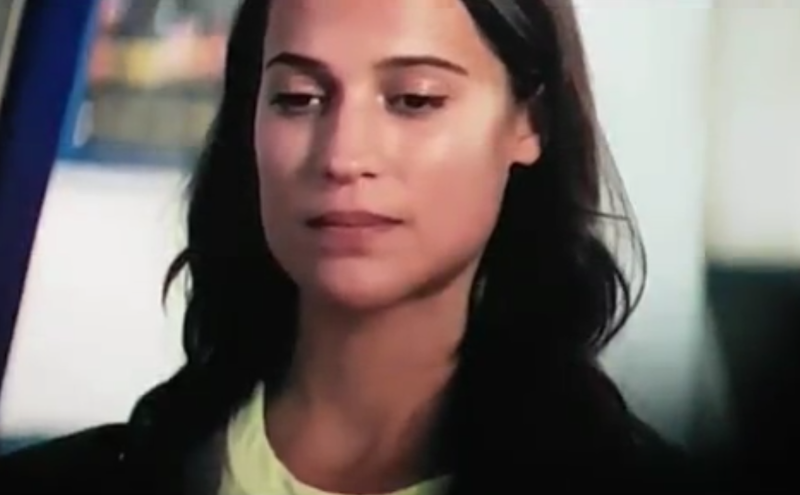 The movie follows the same storyline we experience in the game, but begins with an oblivious Lara struggling with her everyday life as she desperately tries to earn money making deliveries and accepting dangerous challenges in town, despite the conspicuous inheritance she may access to which would also prevent the Croft Manor from being sold. Signing the papers would officially confirm that her father passed away as everyone believes, putting an end to her hopes of seeing the man again. In fact, Richard Croft (Dominic West) left for a business trip seven years prior and never came back, yet Lara refuses to accept this reality and wants to be faithful thinking he’s alive wherever he went. Thanks to an old puzzle Richard left for her, Lara uncovers a strange enigma and finds the secret basement her father used to secure his research and notes about Himiko. Here we can already find a huge lore difference; the Queen’s powers are descibed as a form of dark magic, instantly spreading death and destruction with a simple touch of her hand. For this reason she was captured and buried into a vault full of mortal traps, but while Mr. Croft tried to keep her tomb away from the Order of Trinity and avoid the possible awakening of Himiko, someone in the organization is still trying to find the crypt and threaten the entire world with a weapon they wouldn’t be able to control. Richard recorded one last video for his daughter, asking her to burn all his documents and leave Himiko’s vault untouched forever, otherwise the wrong people may put their hands over his notes and use them to reach the tomb. Lara, as tenacious as she is, decides to not destroy the only chance she may have to either find Richard or to at least discover what happened to him once and for all. At some point before the basement scene we get a flashback with Richard and a very young Lara, set before one of the usual trips the man had to undertake for his “job”. As a departure gift he gave the little girl a green intricated pendant, stating it once belonged to her mother and wanted her to have it. As you can see in the comparison here, the pendant from the movie is a perfect replica of the necklace Lara wears throughout the game. However, another difference follows right after the uncovering of Richard’s secret calling; Lara sells the pendant in order to gain the money she needs to sail onboard a ship and won’t get it back until the final act. Endurance crew poster by LoiccoiL on DeviantArt. 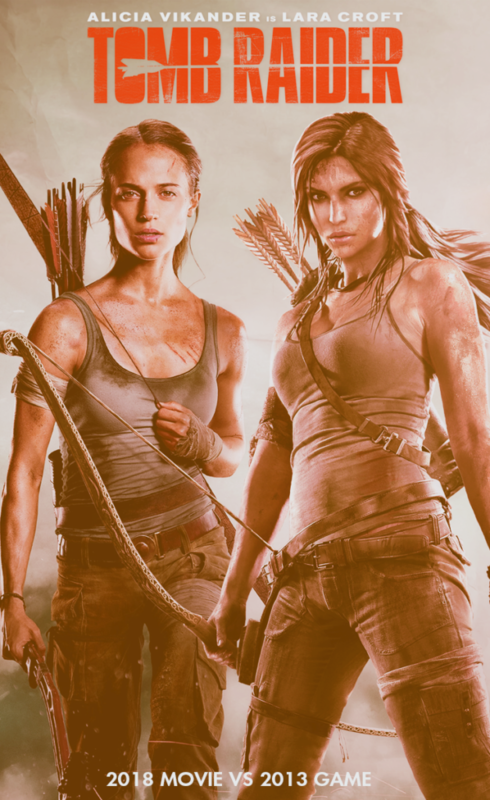 Lara’s Endurance entourage from the video game has also been reduced to just one person in the movie who never appeared in the original version. Lu Ren (Daniel Wu) is a desperate, drunken sailor named just like his father, who also disappeared along with Richard after sailing with the man to embark into what became a one way journey for them both. One of the NPCs present in the game had quite an important role in the whole story, not only for being Lara’s closest friend, but also a potential direct descendant of the Sun Queen herself (Mother Of Death in the movie). Samantha Nishimura was also literally the main reason of Lara’s dangerous battles in Yamatai, being kidnapped from the very beginning and seeing her life threatened for being used as sacrifice/vessel for Himiko’s soul. Lara had to face an endless amount of obstacles and risk her life in more than one occasion trying to save her friend from a horrible fate, figuring out more about Himiko, Yamatai and the artifacts scattered around the Island in the meantime. The character of Conrad Roth also had an important impact over the whole story, as an ex military and treasure hunter who accompanied Richard through a dozen of expeditions and Lara’s mentor, even teaching her how to properly shoot after failing with her father. Unfortunately, Roth dies on the Island protecting Lara from an ax shot. In the movie, despite an initial reluctance and rude attitude toward Lara, Lu accepts to accompany her to the Island in order to understand what’s hiding behind his own father’s disappearance. Here we get a pretty well made storm scene similar to the opening cinematic in the game, where Lara and Lu get separated as she ends up into the rough sea and only to find each other again in Yamatai soon after. As soon as Lara manages to reach the shore, someone hits her head from behind and brings her to what initially looks like a safe camp, only for her to discover she’s been held captive by a man called Mathias (Walton Goggins), claiming to be the one responsible for Richard’s death. If you played Tomb Raider previously, then you will know this part differs completely. 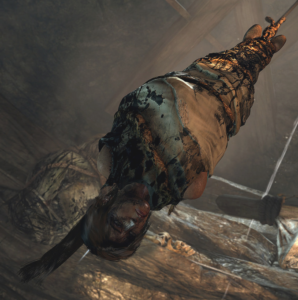 Lara also got knocked off on the shore originally, but the one taking her is just a Scavenger who literally hangs her upside down into his cave. Mathias was also part of the Endurance crew and takes care of Sam’s injuries at camp while listening to her story about Himiko before setting up a plan of his own and taking her away. He was actually stranded on Yamatai for the first time in 1982 after a plane crash and in that occasion he found out about Himiko and her background. In the live action, Lara escapes from Mathias’ camp jumping into the river, to then avoid the deadly waterfall approaching by climbing over a crashed plane. This sequence is probably my favorite in the entire movie, because it reminded me a lot of when Lara found herself into the plane and had to grab the parachute as quickly as possible before the surface she was sitting on could break and let her fall. I highly recommend this clip for a real time side by side comparison! This is also where the movie takes an alternative turn and leaves the game’s plot behind, with Lara meeting a sloppy, but alive Richard Croft who had to deal with loneliness and hallucinations for quite a long time. Her father managed to remain hidden from the world to observe Mathias and be sure he would never find the tomb, a mission Lara inadvertently compromised the moment she had the notebook stolen by Mathias as soon as she arrived. Thanks to Richard’s notes, one last escavation finally brings the vault to the surface. With Lu Ren and other captives fighting their way along the Island in order to find Lara and escape on one side, on the other we have Richard showing up in front of Mathias, refusing to help him further with the main door puzzle to let him in. Mathias, however, uses Richard as leverage against Lara threatening to take his life again (he indeed was not aware of Richard’s survival and ignored his presence on the Island for seven years) and the girl can only accept to lead him into the vault herself if that means she can protect her father and take him back safe and sound where he belongs. As Richard anticipated in his video, the way to the tomb is certainly not a stroll in the park. After a bunch of hidden mechanisms, huge gaps and a deadly puzzle, the group reaches Himiko’s sarcophagus in the core of the vault thanks to Lara’s brilliant mind. Himiko’s corpse somehow managed to remain preserved for centuries, but deteriorates in a few seconds when the sarcophagus gets profaned and her body is exposed to the light. It seems like the curse described by Richard in his recordings was merely an unfounded rumor, when the Queen by now is nothing but a harmful dead old lady, piecefully resting on her stone bed. It’s only when Lara realizes what the murals in the room represent that the truth about Himiko is explained; she in fact was not using any sort of dark magic, but simply had the misfortune of carrying a deadly disease into her hands. The victims were immediately condemned to a quick death preceded by a fast skin deterioration and impetus of wrath, reaction that we can see all too well with two of Mathias’s men in the following scenes. As they try to lift Himiko’s corpse from the sarcophagus, the mercenaries come into contact with her fingers before Lara could explain the real curse interpretation. Turns out Himiko even sacrificed herself to save the world and was by no means a dark creature. Facing the real consequences directly and shooting a subordinate to stop his fury after the infection, Mathias decides to only cut one of Himiko’s fingers rather than taking the whole thing. Still, Richard believes it would be more than enough to commit a genocide in the outside world and a new fight begins as he and Lara try to stop their kidnappers, until one of Himiko’s victims who previously got infected stands from the ground and attacks Richard out of nowhere. Nevertheless, despite the successful outcome of the battle between the two, Richard’s fate is already declared due to the desease already spreading along his right arm, transmitted in turn by his attacker. Richard has no other choice if not to sacrifice his life before the physical conditions could take over his lucidity, making the tomb explode to erase any trace of Himiko’s deadly corpse from existence and asking Lara to run after Mathias who managed to sneak away in the chaos. The young Lady Croft now has to take the hardest decision of her entire life, turning on her heels with a broken heart after saying goodbye to the man she so desperately wanted to see again and moving as fast as she can to prevent Mathias from escaping with Himiko’s finger, threatening the world with such a dangerous “curse”. After a bunch of flying punches, kicks and powerful blows, her anger and determination totally pay off as the explosion from the crypt officially signs Richard’s death, forcing Mathias to chew over the dead finger (ew), to then push his already contaminated body off into a ravine. Back from her life-changing adventure in Yamatai, Lara is ready to place her signature over the inheritance documents to receive the money and claiming her property over Croft Manor. But upon noticing the Patna name among the industries her father’s company possesses, she remembers about the cargo and items in Mathias’s camp borrowing the same logo. Realization hits her when the latter’s words from their first encounter resurface in her head, remembering he mentioned another person leading him on phone and forcing his group to stay on the Island to continue the research. Putting all the puzzle pieces together, Lara understands that Ana Miller (Kristin Scott Thomas), Richard’s business partner and her guardian, is none other than the actual villainess ordering Mathias around and Trinity CEO, right after leaving the business holdings to the woman when she signed for the inheritance. Ana is also the main antagonist in Rise Of The Tomb Raider. Lu Ren left the Island with Lara and other survivors as well, but his father actually didn’t make it against Mathias unlike Richard. In the game, the mystery behind Himiko’s background is definitely creepier and more supernatural than how it was described in the movie. While the live action does not explain why nobody is allowed to leave the Island (Richard only mentions there is no way to do so), originally it’s Himiko herself the one responsible for all the storms that seem to generate whenever someone dares to abandon Yamatai on boat, plane or helicoper (only Mathias was allowed to escape and come back years after, being extremely devoted to the Sun Queen Cult seeking the key for Himiko’s reincarnation). Turns out the woman somehow cheated death and lived an immortal life killing one of her youngest priestesses and taking over her body each time, until the Kamakura period when finally the next designated victim discovered the truth about Himiko’s immortality and killed herself before the Queen could transfer her soul into her body. The priestess’ actions interrupted Himiko’s ritual and trapped the evil Queen in a neverending decaying state, resulting in an unstoppable rage that manifested as a real curse on the entire island and transformed her Stormguards into undead Oni, bound to a fierce protection of her not-so-alive form for eternity. Mathias brought Samantha in front of her living corpse to start a new ritual, interrupted by Lara afterwards as he killed him off and then stabbed Himiko in the chest with a burning torch. So, to answer our initial questions, is the movie good? Is it bad? Is it worth it? It’s surely enjoyable and better than how it was described. The actors did an awesome job, the replicas from the game were really accurate and Alicia is sincerely the perfect new Lara… but if I have to compare the live action to the game I can’t say I’m fully satisfied. I honestly believe that stories taken from video games and books would work best if they were transferred in a TV show instead, since that would also allow the producers to add more content without being limited to the 2 hours (or less) of film they have at their disposal. About the change they did with Himiko and the deadly desease I’m quite bitter, because in my opinion we got a concept seen and reviewed too many times, destroying the original lore. Tomb Raider is a game about exploration and survival. As such it offers suggestive sceneries with mountains, forests, rivers and old-style Japanese buildings. Frans Bouma from Flickr created a free tool that allows you to place the camera wherever you want, creating new angles and beautiful compositions breaking the original boundaries. I highly recommend to play the game if you haven’t before and already watched the movie, or if you intend to give the live action a shot but still have to try the original version. Download Injectable camera and HUD Toggle here. The same thing has been done for Rise Of The Tomb Raider (direct sequel) by HattiWatti, the coder/programmer who made other useful tools for different games. Shadow Of The Tomb Raider, the third installment of the series, has been announced recently and will be available on September 14th. 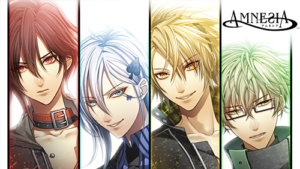 More details about the game will be revealed on April 27th.